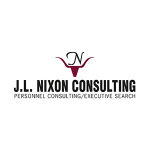 The mission of JL Nixon Consulting is to bring together top caliber insurance professionals and companies. Our firm has completed searches in all disciplines including underwriting, marketing, sales, claims, loss control, administration, accounting/finance, information technology, etc. for the carrier, agency and brokerage, reinsurance and corporate communities.